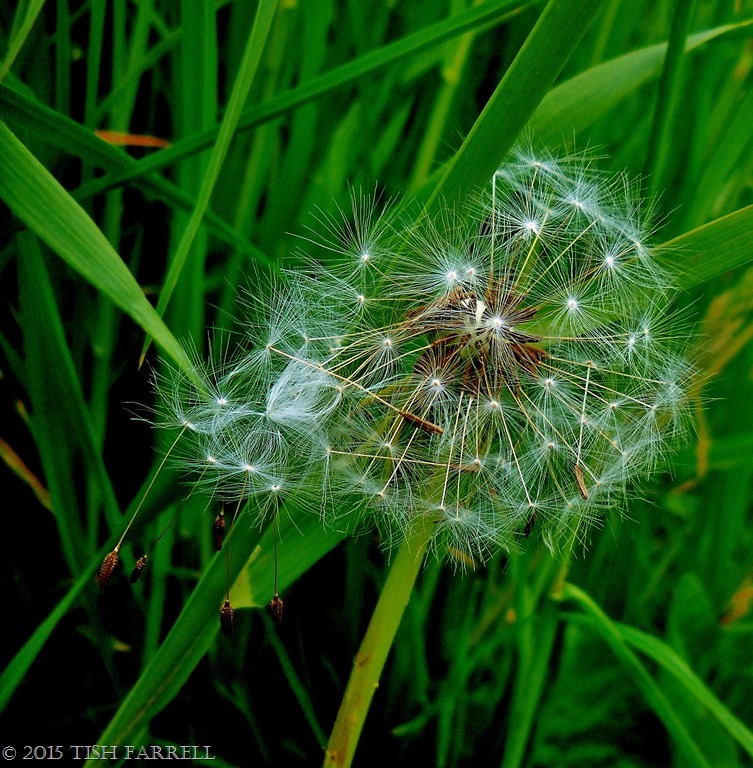 Posted on May 25, 2015 May 25, 2015 by Tish Farrell	This entry was posted in Botany, photography and tagged Daily Post Weekly Photo Challenge, dandelion clock, Tish Farrell Writer. Bookmark the permalink. Ah. We just made a wish and blew the seeds away 🙂 The rituals of childhood. Was it accurate do you think? 😉 I can’t remember. Lovely photo. You’ve outdone yourself here, Tish. Irresistible subject isn’t it? I have a whole archive – most recently of my granddaughter performing the tradition, although she shakes, not quite having mastered blowing. Northern hemisphere heads are bigger than those at home. The thing is I curse them at the allotment, but then on the path home, there I am snapping away, thinking they look so beautiful. Stunning photos, Tish.. You captured it very well.. Thanks Tish – lovely feathery images evoking so many memories. Regards thom. Great details in this clock! Lumix or Kodak? Kodak, for this clock, Paula. I’m quite impressed what this little camera will do.